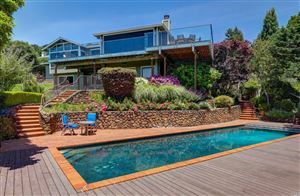 Tiburon homes are located on the Tiburon Peninsula, a short ferry ride from San Francisco. The town has developed from the southern end of the Northwestern Pacific Railroad into a commuter town and tourist destination. Many Tiburon homes have a wonderful view of Richardson Bay and San Francisco’s lights. Residents can take advantage of the location on the shore to walk on the beach or just relax on the sand. There are many beautiful parks, where families in Tiburon homes can go to play and meet up, including Samuel P. Taylor State Park. The parks and trails of Tiburon are excellent places to observe ocean and shore wildlife. There is also great shopping at the Boardwalk Shopping Center and the Cove Shopping Center.